In its summer time Tax Tips 9-2014, the IRS provided 5 tax tips to taxpayers who start a new business during 2014. 1. Business Structure. The IRS stated that taxpayers should choose the business type for the new business. Some common types of entities include sole proprietorship, partnership, S corporation, Limited Liability Company (LLC) and C corporation (normally just referred to as a ‘corporation’). The type of business chosen will determine the IRS form(s) that must be used to annually report information and to determine tax owing to the IRS. 2. Business Taxes. There are four general types of business taxes. They are income tax, self-employment tax, employment tax and excise tax. The type of taxes a business pays usually depends on which type of business the taxpayer chose to set up. 3. Employer Identification Number. 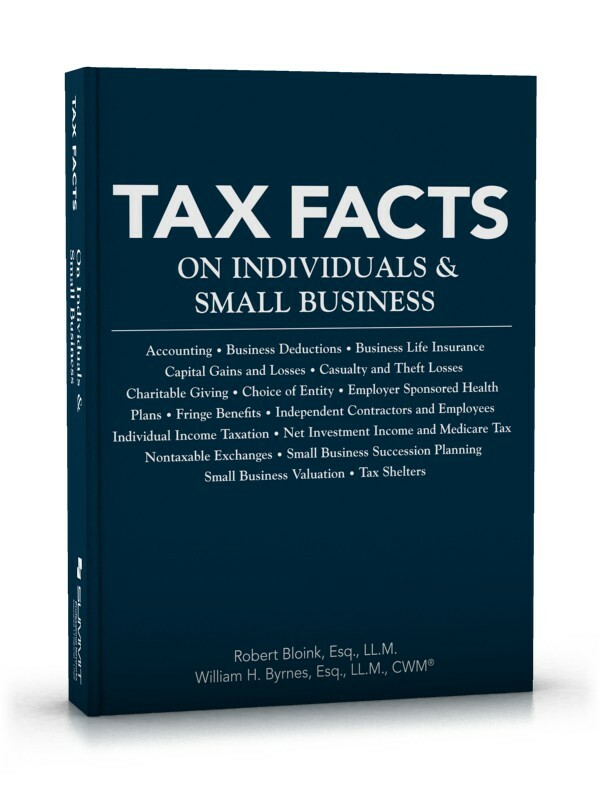 A taxpayer may need to get an EIN for federal tax purposes in order to file the tax form necessary for the business type. 4. Accounting Method. An accounting method is a set of rules that determine when to report income and expenses. A business must use a consistent method. The two that are most common are the cash method and the accrual method. Under the cash method, income is reported in the year received and expenses are deducted in the year paid. Under the accrual method, income is reported in the year earn, regardless of when payment was actually made, and expenses are deducted in the year incur, regardless of when paid. 5. Employee Health Care. The Small Business Health Care Tax Credit helps small businesses and tax-exempt organizations pay for health care coverage they offer their employees. A small employer is eligible for the credit if it has fewer than 25 employees who work full-time, or a combination of full-time and part-time. Beginning in 2014, the maximum credit is 50 percent of premiums paid for small business employers and 35 percent of premiums paid for small tax-exempt employers, such as charities. For many clients today, post-retirement relocation has become the ultimate goal. Unfortunately, these clients have often failed to consider the state tax implications that may arise when they tap into retirement funds in a new state—a state in which the funds were not actually earned. This type of scenario could result in the client becoming subject to taxation in both the state in which the income was received and the state in which the income was earned—even though the client has relocated—especially in the case of funds received pursuant to a nonqualified deferred compensation plan. When it comes to long-term care coverage, advising risk-adverse clients has historically required a balancing act that many traditional long-term care insurance (LTCI) policies simply are not cut out for. In weighing the need for coverage against the risk of a lost investment, clients frequently decide against obtaining coverage. Fortunately, changes in the long-term care marketplace have recently inspired a new crop of products that can alleviate some concerns of clients who are already feeling the pinch of a persistently low interest rate economy. While longer lifespans and the ever-increasing cost of care have led to dramatically higher LTCI costs, new asset-based products can allow your clients to obtain affordable coverage on an almost risk-free basis, with features and tax-preferences that will likely tip the scales in favor of coverage for even the most cautious of clients. Read the analysis of Prof. William Byrnes and Robert Bloink at ThinkAdvisor ! and it has finally come to pass time … the new health care penalty, tax, fee – whatever it is, to be calculated for businesses. Perhaps not the best timing considering the rocky roll out. On the other hand, better to get the bad news 11 months before the next election, when it can be forgotten by the time mail in ballots are sent out. Notice 2013-76 provides guidance on the health insurance providers fee related to (1) the time and manner for submitting Form 8963, “Report of Health Insurance Provider Information,” (2) the time and manner for notifying covered entities of their preliminary fee calculation, (3) the time and manner for submitting a corrected Form 8963 for the error correction process, and (4) the time for notifying covered entities of their final fee calculation. account for all covered entities; and (5) instructions for how to submit a corrected Form 8963 to correct any errors through the error correction process. The information reported on each Form 8963 will be open for public inspection. This aspect will be very interesting as various groups pull and then post business’ 8963s. The most recent shift in the audience for deferred annuity products may come as a surprise to many advisors who are accustomed to selling these vehicles to older clients in pursuit of secure income late in life. Insurance carriers have taken steps to break free of this typical market, in many cases by changing product cost structures to appeal to an expanded (and much younger) client base. As a result, advisors need to recognize that this new generation of deferred annuity products can be marketed even to clients who are in their 30s, 40s and 50s, erasing the common perception that most annuity purchasers are those stereo typically risk-adverse clients who have already retired. Younger generations have joined the market for secure income, which should have every advisor asking this question: How young is my next annuity prospect? With the U.S. population aging and more boomers turning to reverse mortgages to fund their retirement, the U.S. Department of Housing and Urban Development has announced major changes to its Home Equity Conversion Mortgage program. The changes, most of which became effective on Sept. 30, are designed to prevent borrowers from tapping into the entire value locked into their homes. Specifically, new limits have been placed on the amount that borrowers can take out during the first year. Making a gift of a life insurance policy can prove to be anything but simple for clients who may not know what questions to ask in order to ascertain the potential tax consequences of the transaction. Transferring a policy that is subject to a policy loan can prove even more problematic, even if the transferee is a family member and the transfer is intended entirely as a gift. Though the rule’s name might suggest otherwise, the transfer for value rule can create a serious tax trap for a client who transfers a life insurance policy, even if nothing tangible actually changes hands in the transaction. Want to read more? Open access content at Think Advisor! Whole life — A new asset class to allocate? Your small business clients know that the health insurance exchanges set up under the Affordable Care Act (ACA) are coming—and soon—but they may not realize that they create significant benefits for employers in the form of dramatic cost savings above and beyond the current rules governing deductibility of premiums and eligibility for certain tax credits. Beginning Nov. 1, small business clients will be eligible to sign up online for a specially created Small Business Health Options Program (the SHOP exchange), but clients are unlikely to have realized that the rules of the game have changed with the advent of SHOP. When it comes to lifetime income planning, clients are always looking for the latest and greatest strategy to ensure that their income needs will be met during retirement. Deferred income annuities are finally experiencing a dramatic growth spurt in the market, which has motivated insurance carriers to design products with features that allow each product to be tailored to meet the individual client’s needs. As the number of carriers offering deferred income annuities expands, a corresponding boost in client demand is expected — especially when clients discover that they can find the income features they have come to expect from an annuity product, but with a level of flexibility in required contributions and income options unique to the deferred income annuity market. Small business clients who have seen their businesses return to profitability following the economic crisis of the past few years may have secured their continued viability, but many have done so at the expense of personal retirement security. As a result, a vast portion of the baby boomer population is now struggling to play catch up. Unfortunately, traditional retirement savings vehicles, with their strict contribution limits, often are not enough to replace years’ worth of lost savings. For many baby boomer clients who own small businesses, a new strategy that combines a defined benefit plan with elements of a voluntary 401(k) plan can allow the client to save more than 10 times as fast as a traditional plan, with dramatic tax savings that your clients will have to see to believe. A basic problem for clients looking for long-term care insurance today is that they simply may not be able to find it. Major carriers have pulled out of the market in the last year, and the policies that remain can be prohibitively expensive and contain strict qualification requirements. Fortunately, the product market is evolving so that a relatively new method of securing tax-preferred long-term care benefits has emerged. Hybrid annuity products that combine the estate and income planning features of an annuity with the protection of long-term care insurance are becoming increasingly popular among clients looking for replacement insurance. Why is this Topic Important to Financial Professionals? Accounting is like a road map of the company’s financial operations. It is essential to understand the accounting basics and how they relate to small businesses and insurance. Now that the business has been incorporated and is operating, what is required to keep the business accounted for? The first determination a company must make is determining if the business will account using an accrual or cash system. An accrual accounting method recognizes revenues and expenses in the period in which they occur whereas a cash accounting method recognizes transactions as they occur. For example, an accrual taxpayer that performs services will account for income earned when the service is actually provided and not when the actual cash or payment is received. A cash method of accounting is concerned only when cash is paid out and when paid in. Expenses follow the same logic. For example, if a service company that uses the accrual method incurs 500 dollars of phone expenses in December 2010 and the payment is not due until January 2011, the company will still account for the phone expense on its books in 2010 for December’s usage. Once the business has determined its accounting method, it is ready to keep track of the transactions. Every accounting system should provide a basic financial statement, income statement, cash flow statement, balance sheet, and statement of owner equity. Each statement provides a view through a different window into the financial operation of the business. The income statement is easy to understand. The top item is revenues and beneath that line expense are deducted to determine the net income. The cash flow statement is essentially a variation of the income statement. However the cash flow statement will show the ability of the business to operate on a periodic basis given the ins and outs of cash payments. The balance sheet will tell the financial planner what the business is comprised of. Most accountants refer to the balance sheet as a snapshot of the business at any particular moment of time. From it we can see what assets the business holds and how much money it owes others. Lastly, the statement of owner’s equity shows how the business is owned and financed. Properly kept financial statement can help ensure easier access to capital as well as give a truer understanding of the business’ financial position. The financial statements are commonly used in the risk management processes including when insurance is purchased on a key man. Small businesses are especially sensitive to this risk and keeping accurate books can help insurance agents and underwriters determine among other factors the insurance needs of the operation. Key man insurance and buy-sell agreements are generally based on some total dollar amount that represents the value of the business. This figure is usually based on some number that is related to the financial statements and accounting of the business. Whether it’s the total assets, a factor of revenue or income, or some other determination, the need for a basic knowledge of financial accounting for small business is essential. For a detailed analysis on business valuation and how it relates to buy sell agreements see AUS Main Libraries, Section 11 F—Insurance Needs Revealed In Financial Statements. Clients today assume that the tax-free status of life insurance is a given and may have even engaged in fiscal cliff planning that involves the purchase of life insurance to provide a source of tax-free investment income. Given today’s political climate, it is important for clients to realize that no tax preference is safe and that the tax benefits they have come to expect from life insurance are no exception. Domestic Asset Protection Trusts: Equal to Their Offshore Brethren? The Domestic Asset Protection Trust (DAPT) is the onshore response to concerns surrounding offshore asset protection vehicles, but are the onshore and offshore varieties of asset protection equivalent? Despite the surface similarities between DAPTs and asset protection vehicles based in the Caribbean and other offshore hotspots, the degree of creditor protection offered by them can be very different. After a brief discussion of the history of DAPTs, this article examines the battle tactics used by creditors to break DAPTs and access trust assets. For previous coverage of DAPTs in Advisor’s Journal, see Domestic Asset Protection Trusts: New Chart Ranks the States (CC 10-30) & The Spendthrift Clause (CC 09-32). For in-depth analysis of DAPTs, see Advisor’s Main Library: G—Domestic Asset Protection Trusts. The Financial Industry Regulatory Authority (FINRA) is targeting structured products over concerns about unsuitable sales to retail customers. In an exclusive interview with AdvisorOne (a Summit Business Media product) Bradley Bennett, enforcement chief at FINRA, said that the agency’s caseload on the recent financial crisis has eased up, and the agency is ready to renew its focus on structured products. For previous coverage of structured products in Advisor’s Journal, see SEC Warns Investors about Principal Protected Notes (CC 11-117). For in-depth analysis of structured products, see Advisor’s Main Library: 7774. What is a structured product? How are structured products taxed? Life insurance is a common tool for ensuring estates have adequate liquidity to pay estate expenses and taxes. But recent changes to the estate tax have some people questioning whether the high premiums they’re paying are worth it when their estates are no longer likely to be hit by the estate tax. With a $5 million exclusion amount and brand-new exclusion portability provisions, far fewer households have to deal with the federal estate tax. But is allowing unneeded life insurance to lapse the best solution? For previous coverage of life insurance valuation in Advisor’s Journal, see Relative Policy Value of Life Insurance (CC 11-57). How Are IRA Owners Investing Their Money? Although at least 25 percent of all US retirement assets are held in personal retirement accounts (IRAs), until now, only limited data existed on asset allocations in IRAs. Consequently, the retirement prospects of retirees owning IRAs have been a mystery. New developments from the Employee Benefit Research Institute (EBRI) gives us a preview into self-directed accounts like IRAs, providing hard data on the investing behavior of account owners and giving us insight into common problem areas in these accounts. EBRI’s database includes information on 11.1 million individuals’ 14.1 million individual retirement accounts. 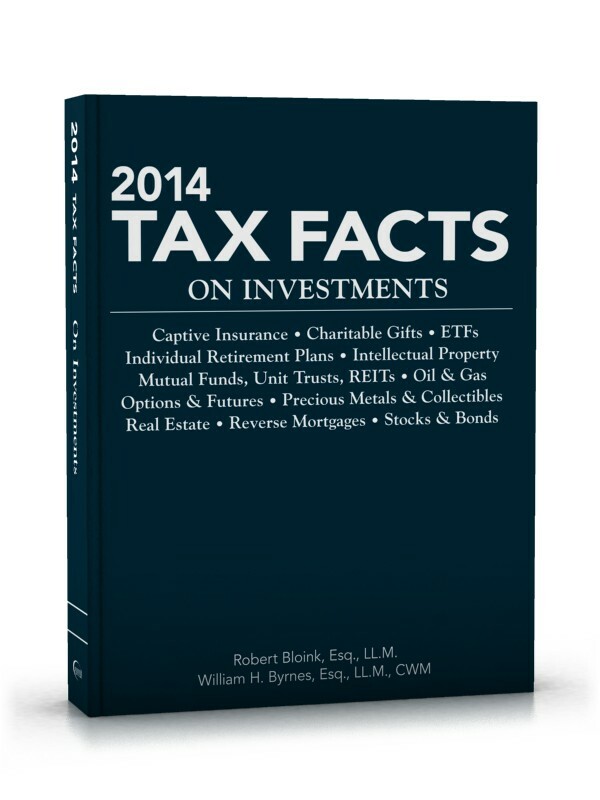 Assets in the tracked accounts amount to $732.9 billion. For previous coverage of IRAs in Advisor’s Journal, see Maximize IRA Stretch with Individual Inherited IRA Accounts (CC 10-69) and To Convert or Not to Convert, That is the Question (CC 07-40). For in-depth analysis of IRAs, see Advisor’s Main Library: A – Introduction to Individual Retirement Plans (IRAs). A commonly known characteristic of annuities is providing retirees retirement income security. However, a more complicated aspect is deciding exactly how much of a retiree’s nest egg should be allocated to an annuity to reduce the person’s probability of outliving their retirement income. The study’s results offer a prescient guide for advisors looking to maximize their client’s retirement success through annuities. Although parts of the study are quite technical, briefly reviewing the results can be enlightening. For previous coverage of annuities in Advisor’s Journal, see Drama Over the “Drawbacks” of Annuities (CC 11-62). A stranger-owned life insurance promoter won a big victory when the California Court of Appeals ruled 2-1 that California’s 2009 anti-STOLI law does not apply to policies issued before the statue was enacted. The ruling was issued by the 4th Appellate District in an appeal on the case: The Lincoln Life and Annuity Company of New York vs. Jonathan S. Berck, as Trustee, etc, Case No. D056373 (17 May 2011). For previous coverage of STOLI cases in Advisor’s Journal, see STOLI Scheme Lands Insurance Agent in Jail (CC 11-92). Is the Contestability Period a Shield or a Sword in STOLI Disputes? Should insurance applicants and third-party investors be allowed to make material representations when applying for life insurance, if they can manage to hide misdeeds for at least two years? The United States District Court for the Southern District of New York thinks so. In the latest STOLI case coming out of the federal courts, judge and jury discussed whether blatant fraud on a life insurance policy application is actionable to invalidate a policy after the contestability period has passed. The jury and court held for the investor in the $5 million case. For previous coverage of STOLI in Advisor’s Journal, see STOLI Scheme Lands Insurance Agent in Jail (CC 11-92), New York Court of Appeals Upholds STOLI Arrangement (CC 10-106), & Recent STOLI Case Is a Big Win for Insurers (CC 10-59). It’s a given that most of us want to continue living as long as possible. Exercising, eating healthy, and taking every precaution available to extend the gift of life to its limits. Nevertheless, even living a longer life is not exempt from the foreseeable strains it creates financially. Increasing life spans can create problems for pension funds and others that depend on us dying to keep their books balanced. Pension funds are exposed to severe longevity risk. If pensioners live longer than expected, payouts from the funds could exceed the estimated cost of keeping the funds solvent. Worldwide, $17 trillion of pension funds – $23 trillion in assets – is exposed to longevity risk. But the big banks—including Goldman Sachs, JPMorgan Chase, and Deustsche Bank—are coming to the rescue by packaging that longevity risk and selling it to investors; and they’re counting on investors being interested in wagering on your death. The Financial Industry Regulatory Authority (“FINRA”) has issued a regulatory notice addressing price volatility concerns associated with low-priced equity securities in customer margin and firm proprietary accounts. The notice advises that special attention be given to low-priced equity securities; price volatility is usually associated with low-priced equities because they are inherently volatile. But what does FINRA consider a“low-price equity,” and what is the impact for you and your clients? For previous coverage of FINRA-issued guidance in Advisor’s Journal, see Getting Your Feet Wet in the Social Media Market (CC 11-79) & SEC Says “Not So Fast” to Advisor Social Media Marketing (CC 11-40).